Daniel's Electrical Construction Company, Inc. specializes in Public Works, Schools and Design & Build electrical contracting, Electrical Installation & Service and Sustainable & Solar Technologies. Regardless of project size – quality workmanship by union-skilled electricians – is the key to doing the job right. 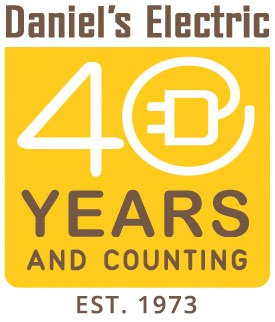 Centrally located in the growth area of Southern California and the Inland Empire, Daniel’s has been providing excellent electrical work for over 40 years. By utilizing the best in technology and computer systems, we are able to estimate jobs more accurately, track the purchase of materials more precisely and provide on-time job completion. We stand by our workmanship. Period. You can count on Daniel’s to do the job right, on time and in budget. We are dedicated to building a brighter future. Centrally located in the growth area of Southern California and the Inland Empire, Daniel's Electric Construction Co. has been a mainstay of the State of California. Trusted by clients who insist on the best quality work, Daniel's has enjoyed creating lasting relationships with its clients. Building green in our community will strengthen our local resources, reduce waste and reduce the overall impact created by the built environment. Discover what Daniel's role is in creating a brighter future utilizing sustainable building practices.